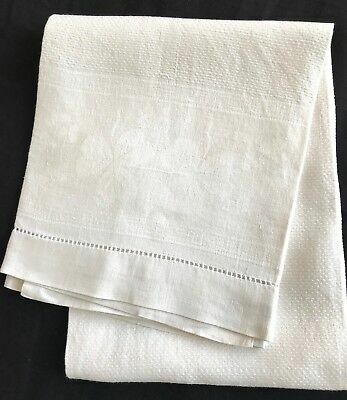 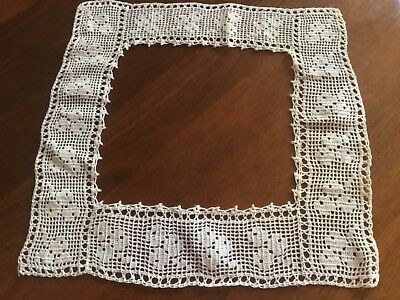 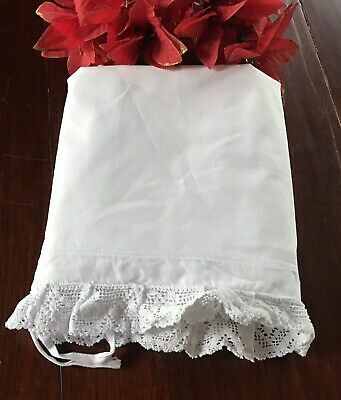 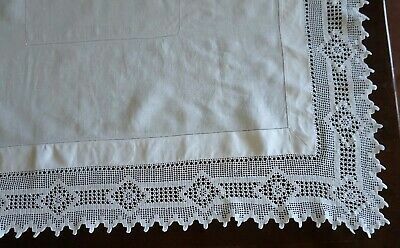 Vintage white linen cloth with deep crochet edges. 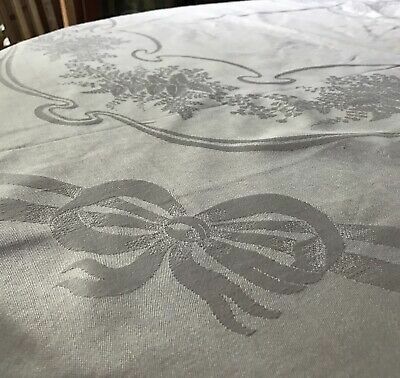 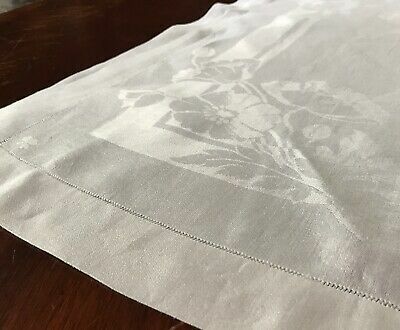 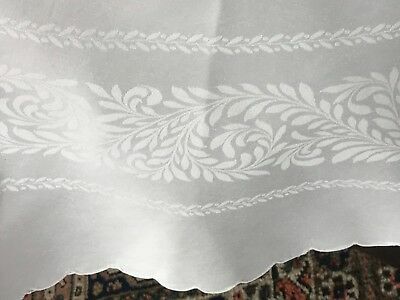 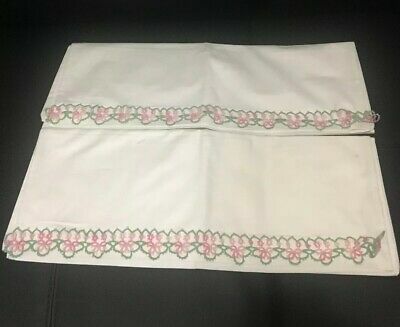 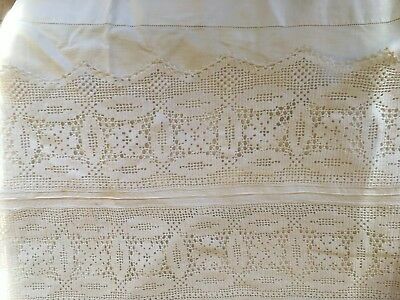 Vintage 1950S White Linen Table Cloth Inset Fleur De Lis Lace Corners 36" X 36"
Vintage white linen hand embroidered crinoline lady and archway cloth. 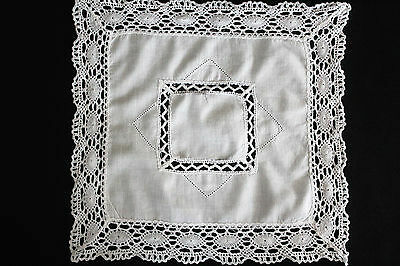 Vintage small square white linen cloth with crochet edge. 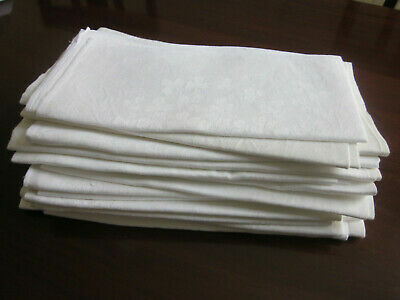 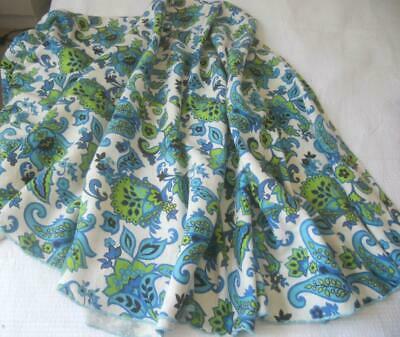 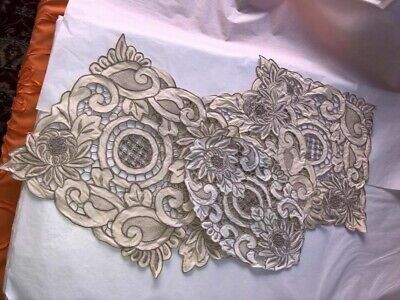 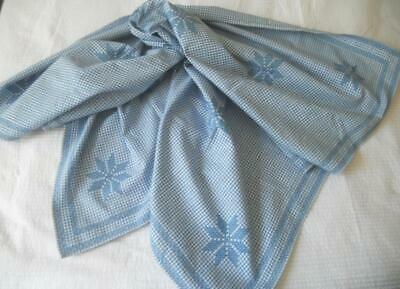 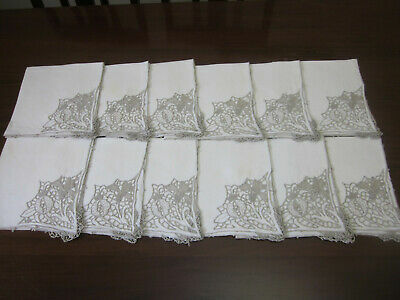 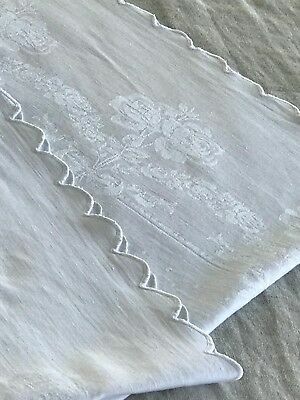 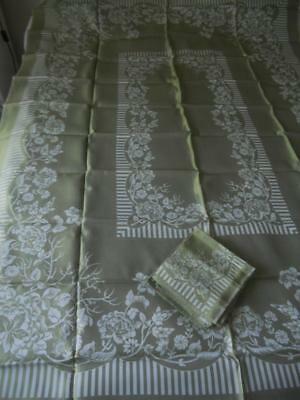 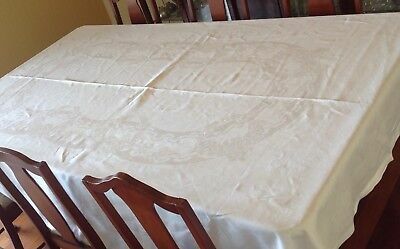 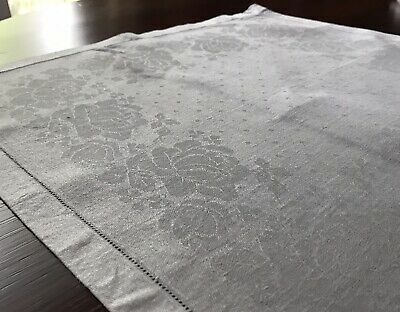 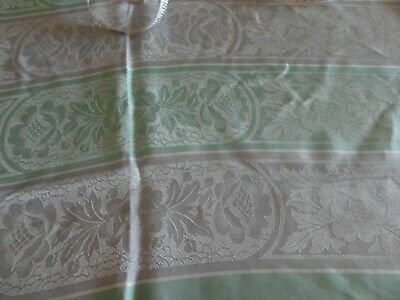 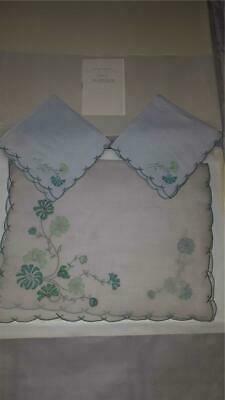 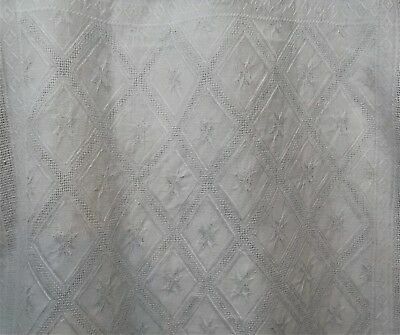 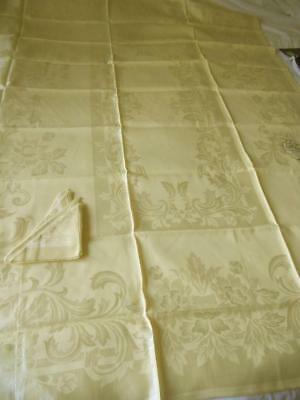 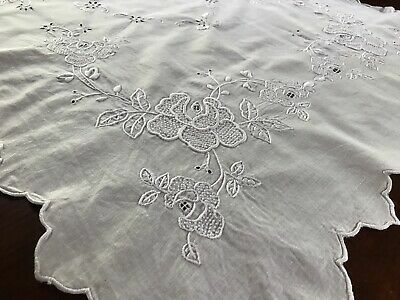 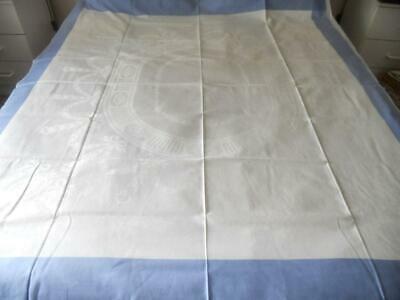 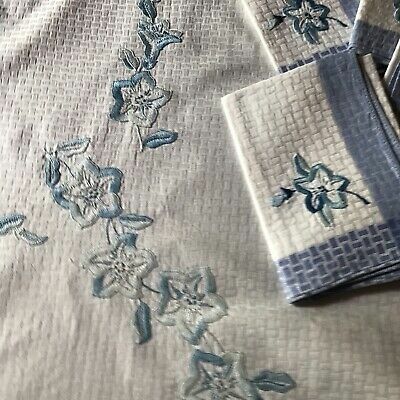 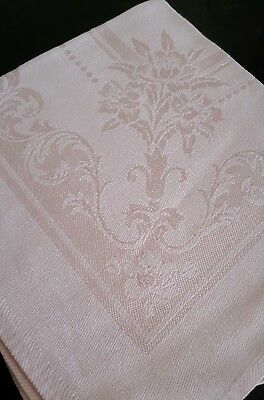 Vintage 1950S White Damask Linen Table Cloth Blue Borders Swags Bows 61" X 55"
Fabulous Antique Net Lace Curtain Panel. 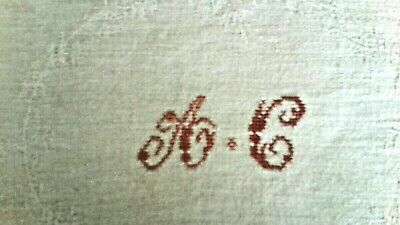 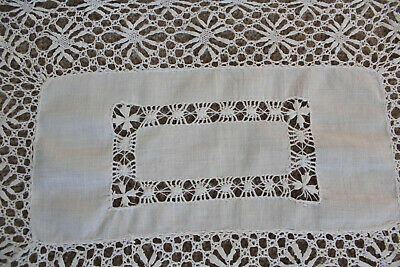 Vintage white linen cloth with crochet edge and white hand embroidery. 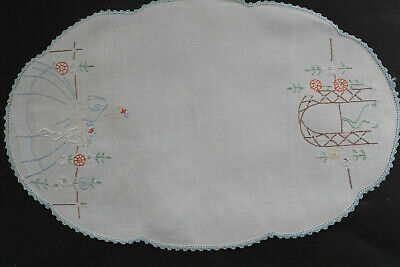 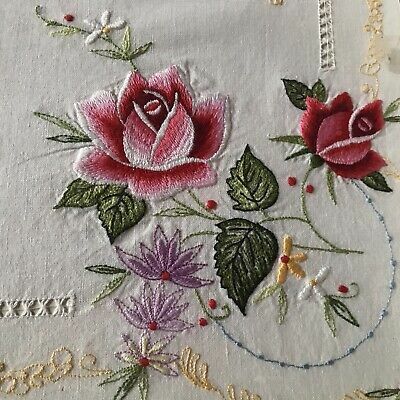 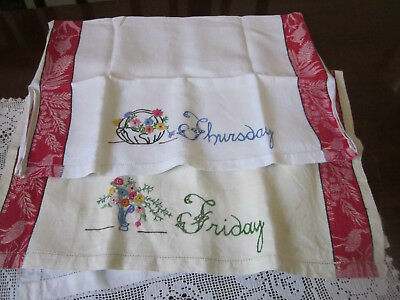 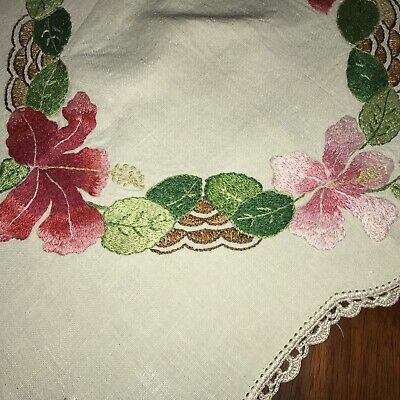 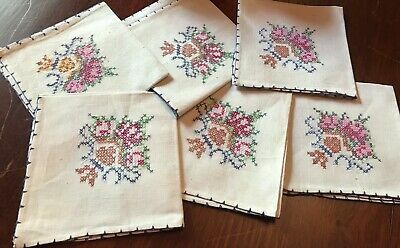 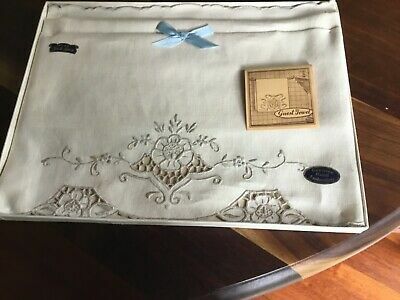 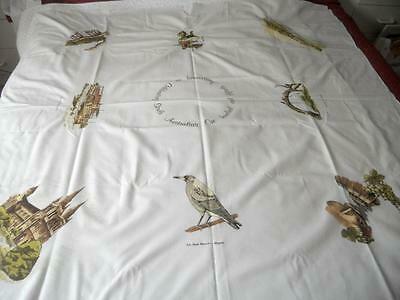 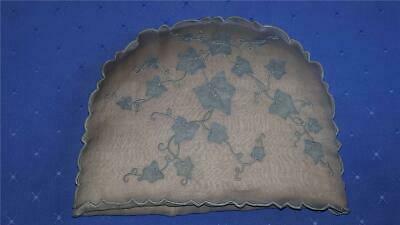 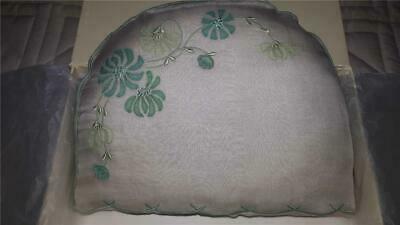 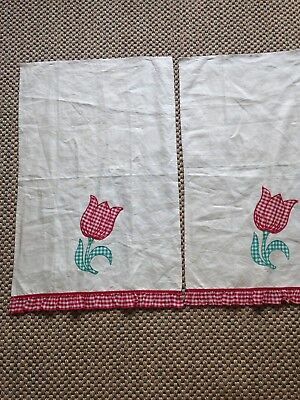 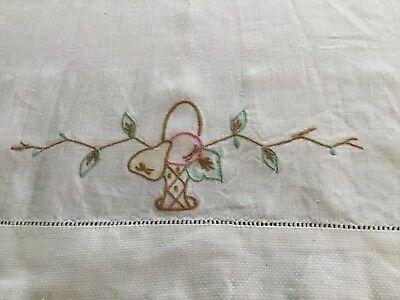 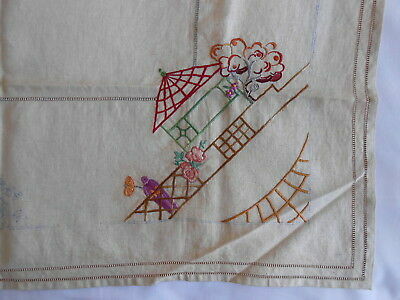 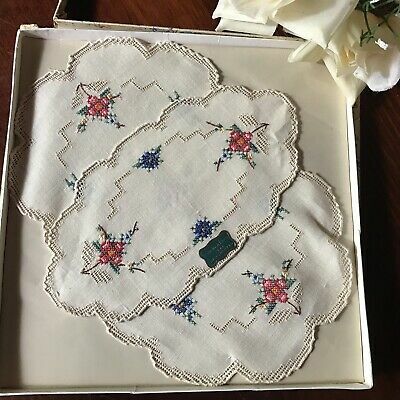 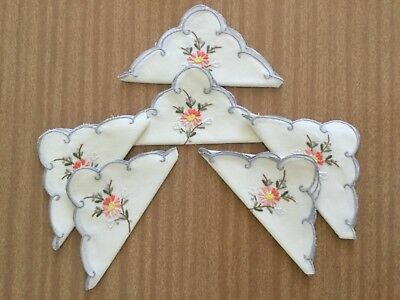 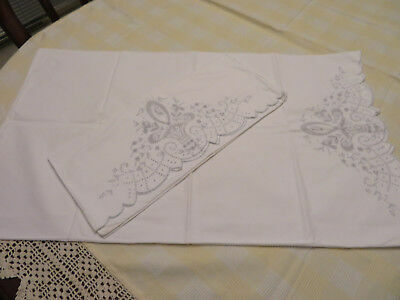 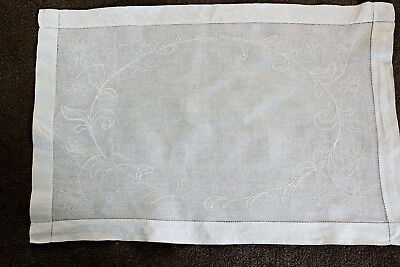 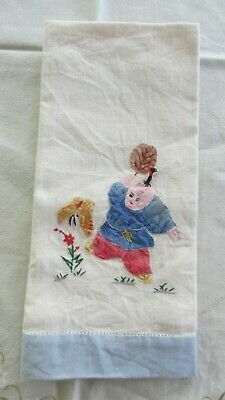 Vintage white linen cloth/table topper with lovely hand embroidered flowers. 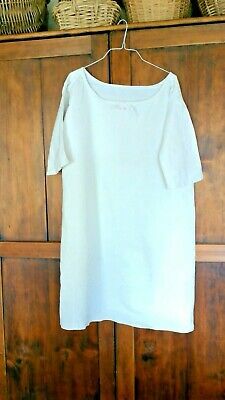 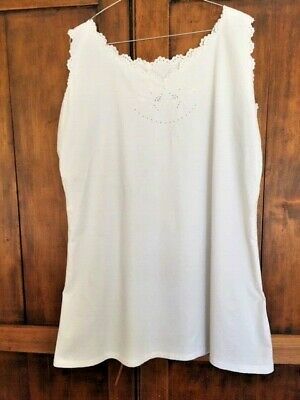 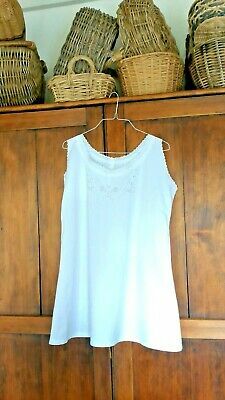 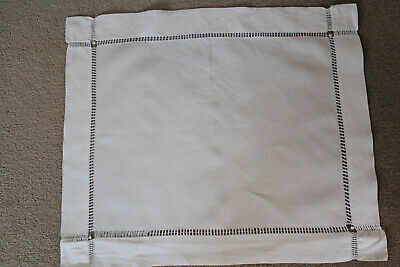 Vintage fine white linen lingerie or nightdress case with white ladder work. 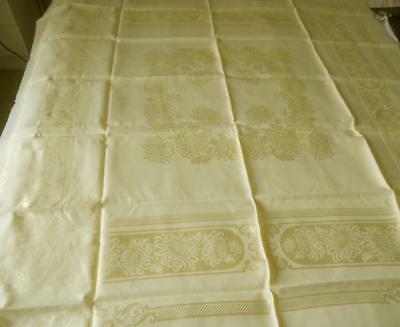 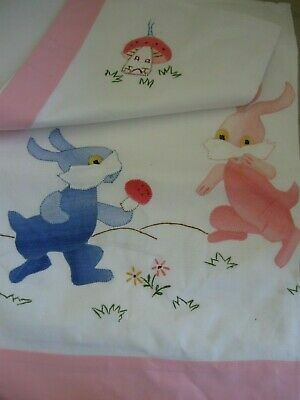 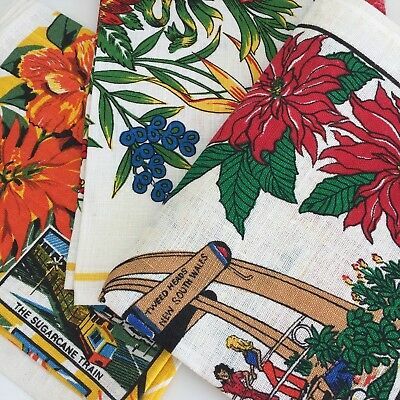 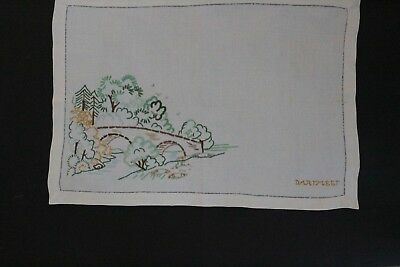 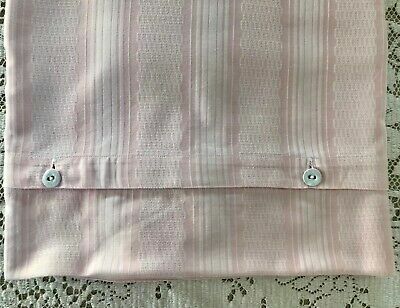 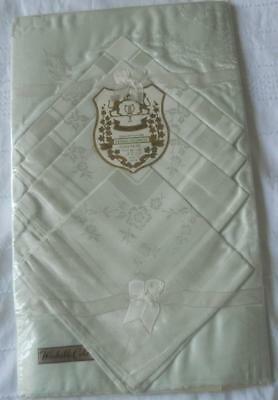 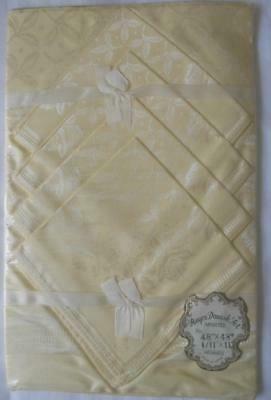 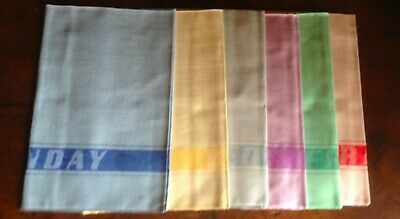 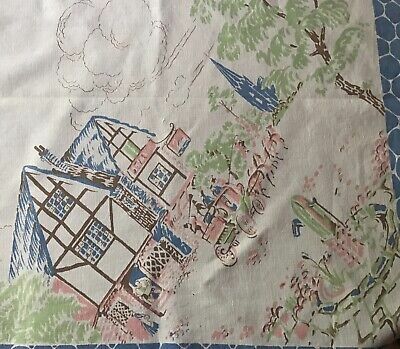 Vintage Pink Rose Banquet Tablecloth & Napkins Chenelle Boxed NOS NIB 72"
Vintage Pastel Yellow Damask Linen Table Cloth Trailing Flowers 64" X 81"
Vintage cream linen hand embroidered picture of trees and bridge at Dartmeet. 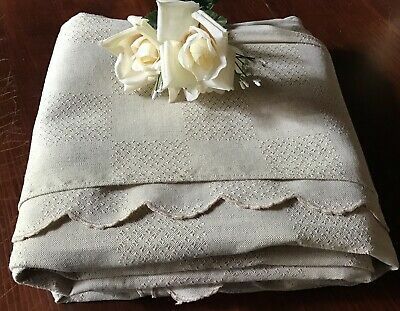 Vintage small square white linen cloth with crocheted insert. 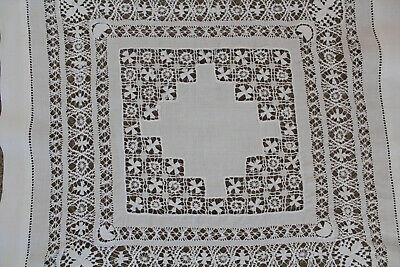 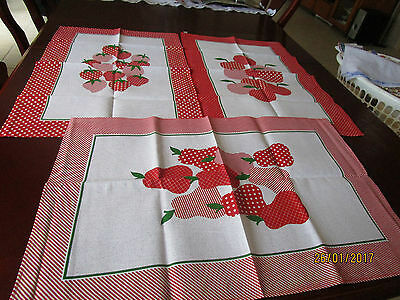 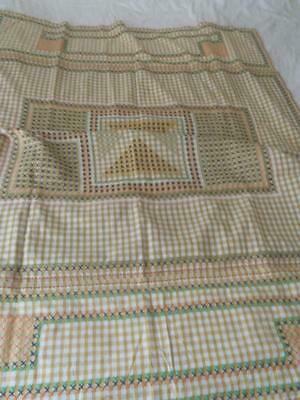 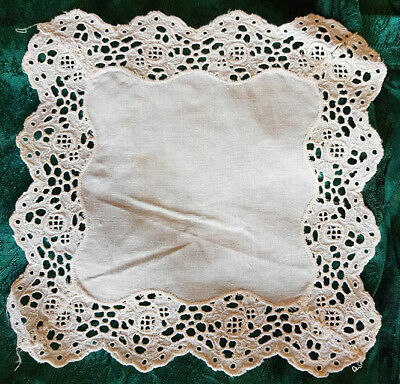 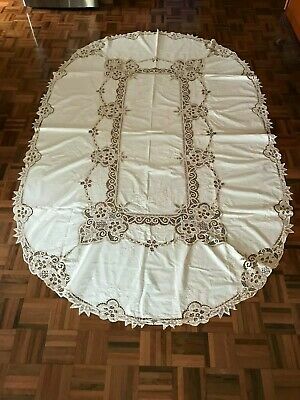 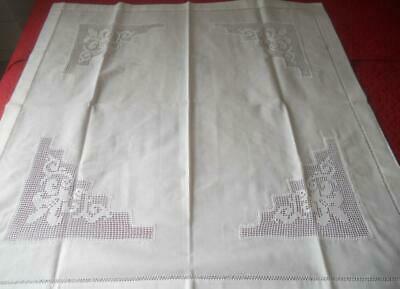 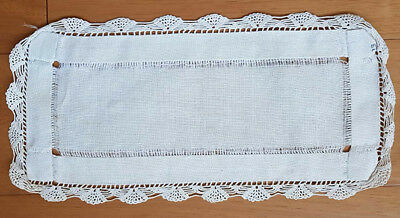 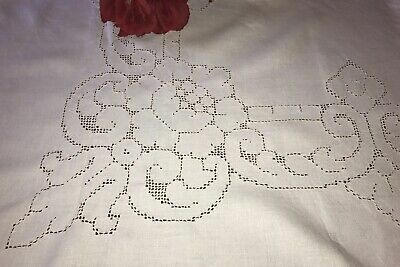 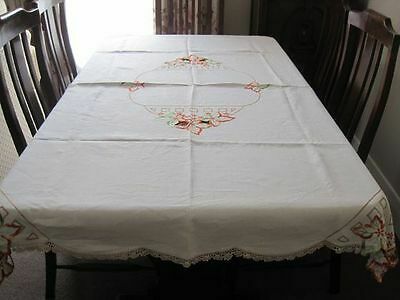 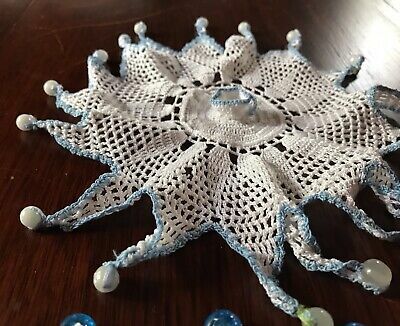 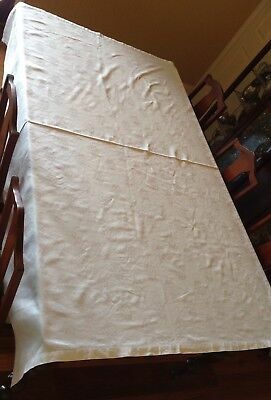 Vintage fine white linen table top cloth with crochet border and drawn thread. 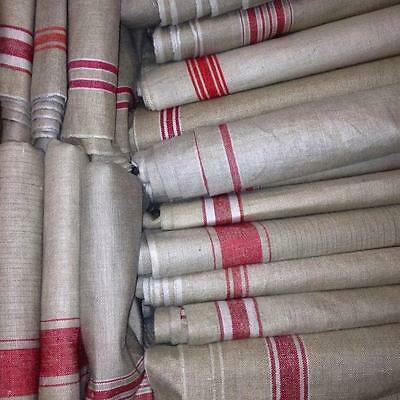 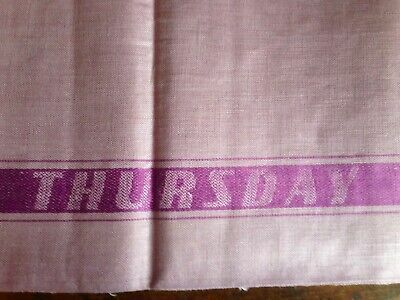 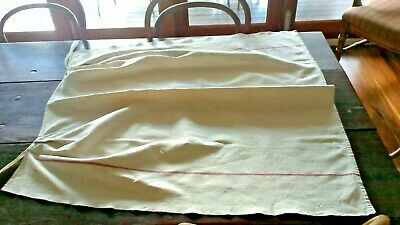 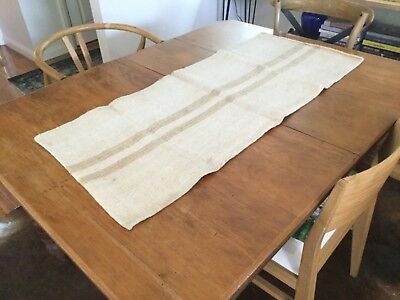 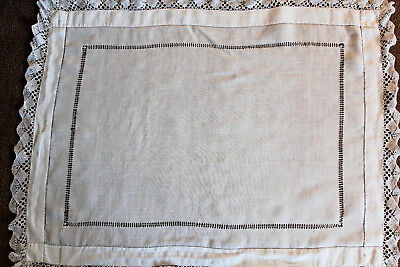 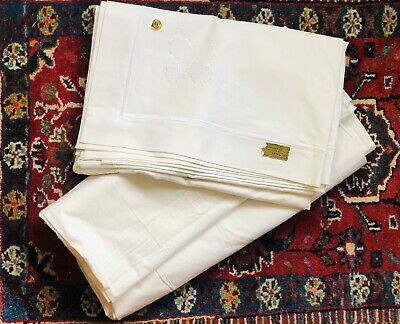 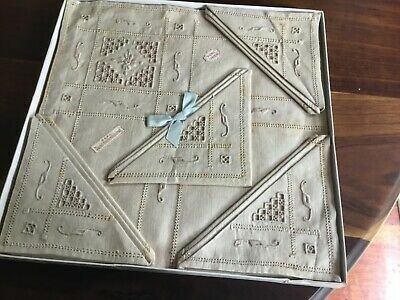 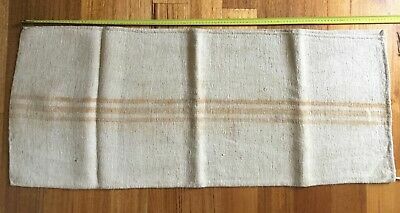 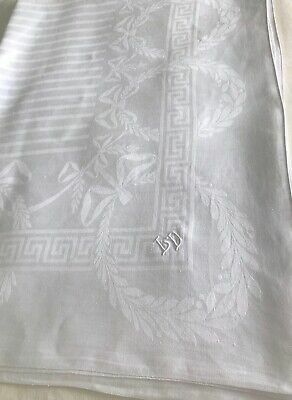 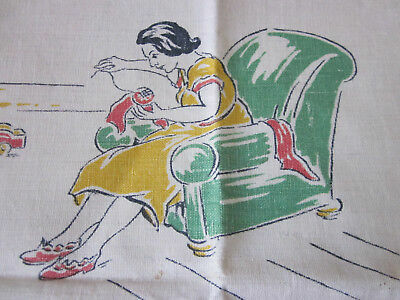 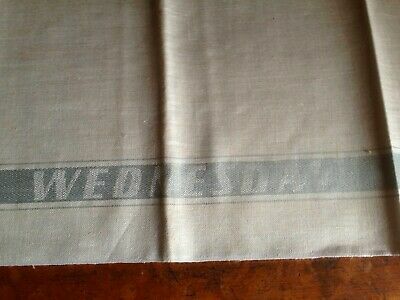 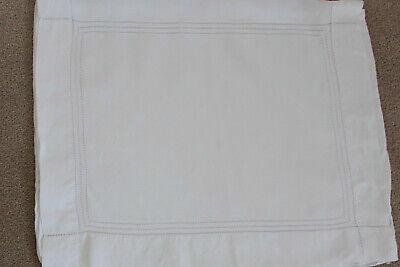 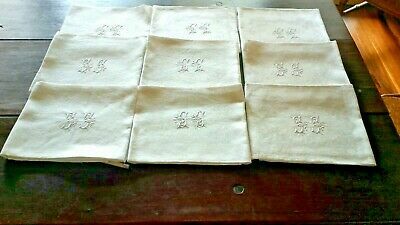 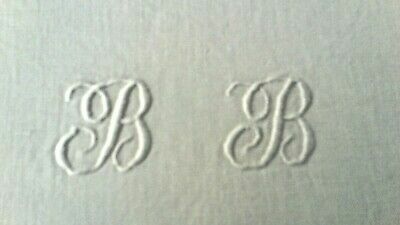 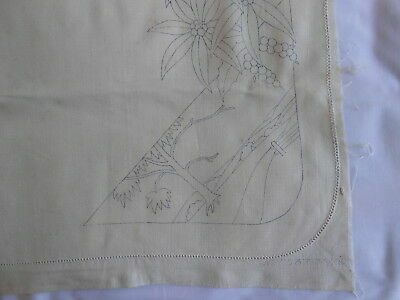 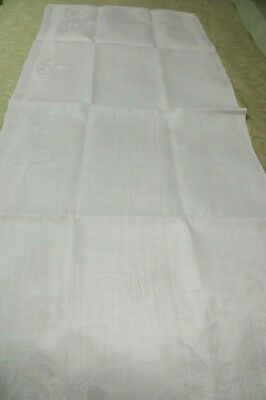 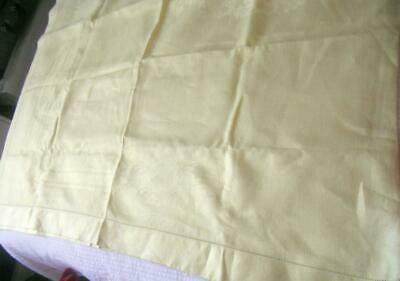 Vintage plain white linen cloth with drawn thread ladder work on edges. 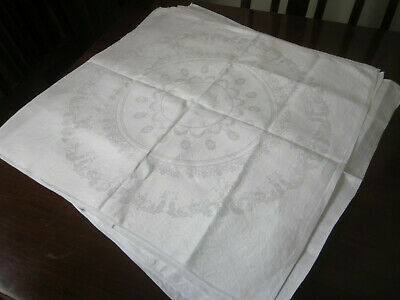 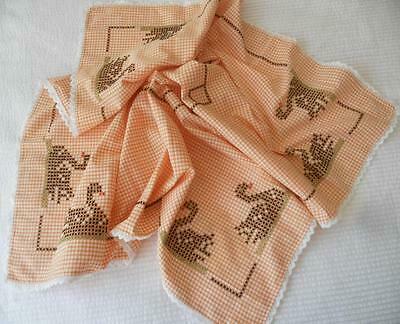 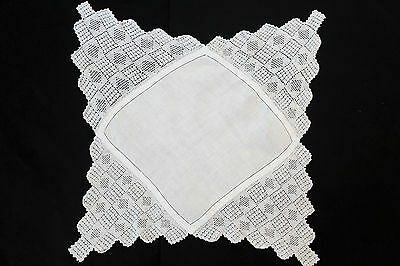 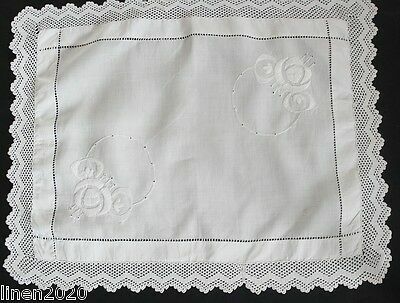 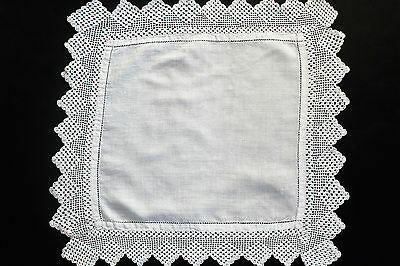 Vintage small square white linen cloth with crochet centre and edge. 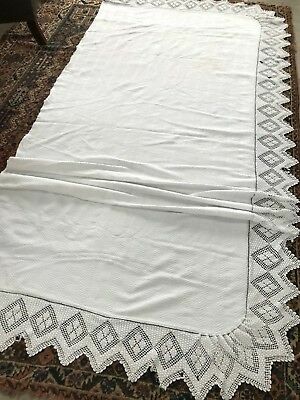 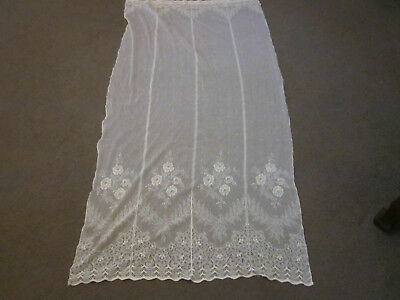 Vintage white linen cloth with deep crochet edge.